The 75th annual Golden Globe Awards took place on Sunday night in Beverly Hills and whilst we’re usually watching out for the best dressed celebrities on the red carpet, this year the dress code had a more significant meaning. 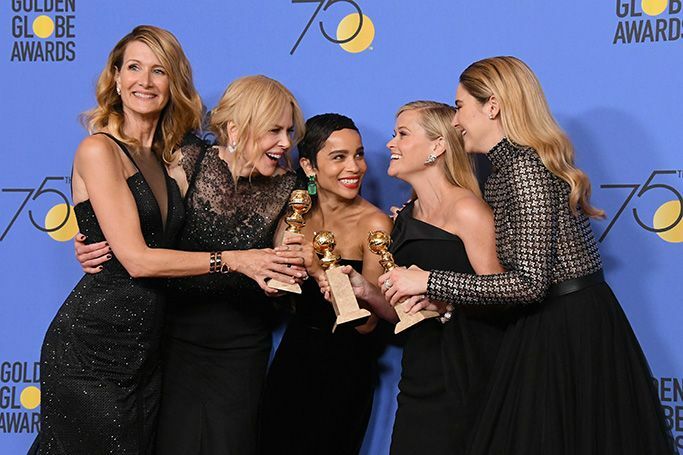 Stars were united in wearing black to the Golden Globes 2018 (minus a couple of celebrities) in a show of solidarity with the #MeToo and #TimesUp movements. The black dress code was a symbol of unity, as the industry came together to raise awareness about issues like sexual harassment, discrimination and abuse in Hollywood and beyond. The fashion did not disappoint in the powerful black dress code, as many A-listers still impressed with their expressions of personal style. From accessorising with statement jewellery, to wowing in ruffled black gowns, celebrities such as Reese Witherspoon, Angelina Jolie, Kendall Jenner and Margot Robbie all stood out in noir.